==>Scroll down to Sign Up! 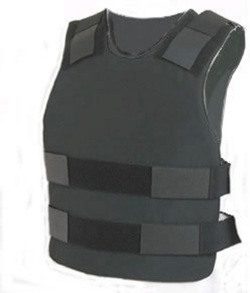 If you could build a bulletproof workfile that increases your value as an appraiser and insulates you from liability, you would build it, wouldn’t you? New rules are leaving appraisers more exposed than ever to legal and regulatory complaints. Tim Andersen, MAI and AQB-Certified USPAP Instructor, USPAP Consultant and author (Beware of Consent Decrees; Understanding State Board Enforcement), shares how to navigate the troubled waters like an expert: what items must be included in every Workfile and which are often omitted, causing appraisers legal and regulatory exposure. Not only will you learn how to strengthen your workfile, but Anderson shows you specific ways to improve your appraisal reports. Save time and avoid unnecessary reviewer callbacks by getting it right the first time! Learn how to protect your license and impress your clients! 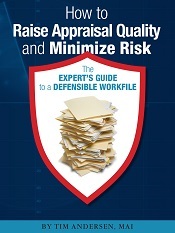 With extensive experience as a USPAP expert in cases involving appraisal litigation and state board complaints, Andersen shows you how to ensure your workfile is complete so that when irate clients, state appraisal boards, and raging plaintiffs come after you, you’ll be ready and protected. A bulletproof workfile is your best defense! *Webinars are recorded for viewing at your convenience. Sign Up now to receive recording automatically.